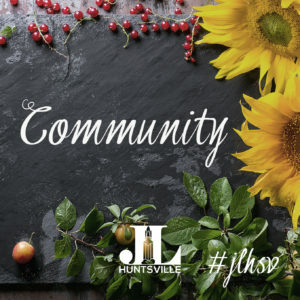 Applications for Community Partnership grants with the Junior League of Huntsville are open through January 4, 2019. The Junior League of Huntsville (JLH) places trained volunteers with selected community partners in support of our current Impact Area, Improving Family Literacy. Each year, the JLH reviews, accepts, and adopts new placements to begin the following July. Final placement determinations are voted on by the JLH membership and are based on JLH’s mission, impact area, measurable community impact, membership interest, and available JLH resources. JLH will accept applications that are completed and submitted to the JLH by 5:00p.m. on January 4, 2019, via email, mail, or hand delivery, and have all the required exhibits and include the signature of the agency’s Executive Director or President of Board of Directors. JLH provides both volunteers and funding to community partners. A community partner may receive volunteers only or may receive a combination of volunteers and funding based on the needs of the specific program and the goals of JLH relative to the program. JLH will consider funding requests that are directly related to the program for which volunteers are requested but will not fund ongoing operations or staff salaries. Should you need information or have questions regarding the application or process, please contact Community Assistance Grants at (256) 881-1080 or via email at info@jlhuntsville.com.